Celebrating the 40th anniversary of the world's most famous music and performing arts festival. Mark Radcliffe narrates this archive-led look back at many iconic performances. 2010 marked the 40th anniversary of the world's most famous music and performing arts festival. 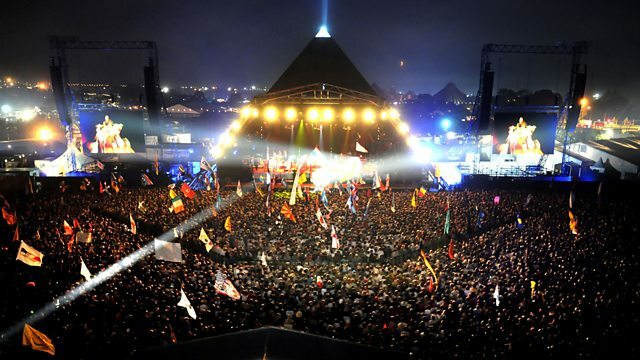 Mark Radcliffe narrates this archive-led look back at many of the iconic things and performances connected to the 28 festivals there have been at Worthy Farm, from Avalon to Common People to Hippies to Joe Strummer to Pyramid Stage to Radiohead to The Tor to Jay-Z.